Wooden fences are not all alike. Each fence deserves to be made with the highest quality woods and with expert craftsmanship. Plus, different materials and designs work best for ranches, farms, homes, and commercial estates. To ensure the best fence for your property, allow Rustic Fence to help you today! Rustic Fence provides specialized wood fences for a number of purposes. Whether for a ranch, home, or commercial area, your fence will be tailored to your needs. While it may seem like any fence will work on your property, each fence has its own benefits depending on intending uses, housing style, and numerous other factors. If you are unsure about which fence is best for you, we are more than happy to work with you to find something that fits your needs. Wooden fences are the classic fence: they are beautiful, timely, and strong enough to protect against intruders and other outside forces. When used commercially, our custom wooden fences can protect your commercial property including stores, inventory, and anything else that you’d like to keep an eye on. At Rustic Fence, you are always guaranteed the highest quality commercial wooden fence to keep your property safe! 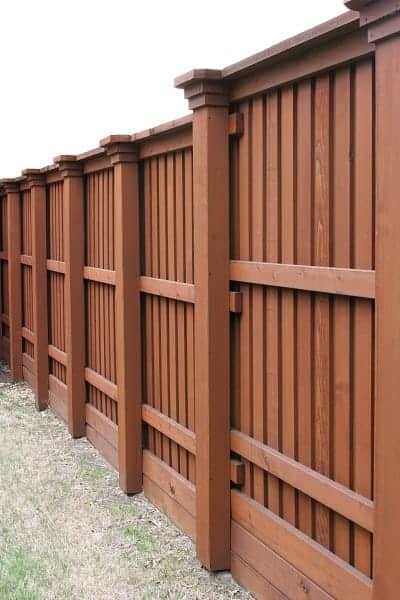 All of our wooden fences are made using the highest quality commercial grade materials. Since 1964, we’ve been perfecting the art of fencing so that you can rest easy knowing that your property is safe. Once your fence is crafted, our professional team will expertly install your new fence so that it stands strong against the elements. With our long-lasting warranty, you will never have to worry about a new fence again! Instead of a cookie-cutter approach to fencing, we believe in creating a custom fence that’s perfect for you. If you’d like a free estimate, contact us at Rustic Fence today to see what we can do for you. (817) 275-2151 or (972) 725-7984.